My beloved old fake leather boots from an unfortunately not so transparent brand finally fell apart this spring. So I have been paying a lot of attention in the last couple of weeks, when the Ethical Brands came up with their new shoe-collections. I was prepared to spend a little more money if that means not only no animals are exploited, but also no humans and no environment. Of course I also wanted boots that I like and find comfortable to walk around in for several hours. 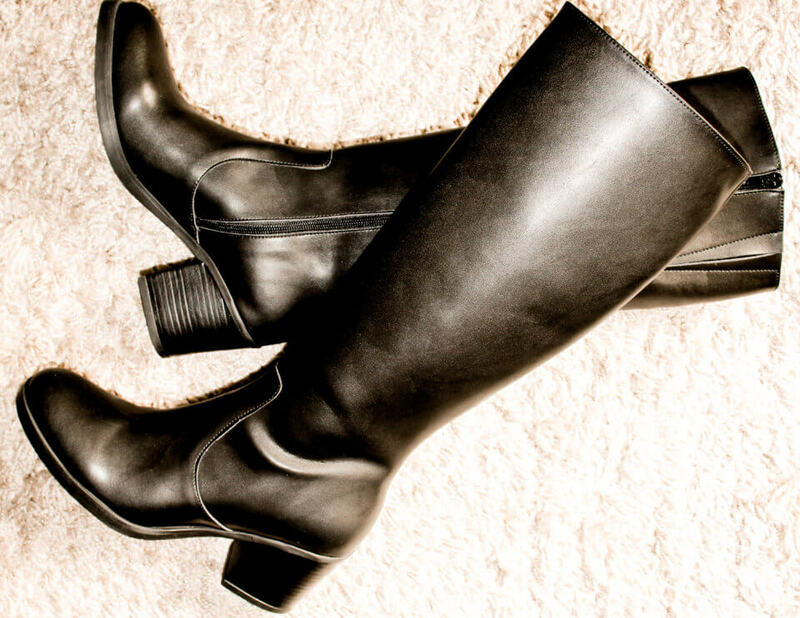 Then I saw Portuguese Ethical Brand NAE’s Andrea boots and ordered them on the same day. They almost look like my old ones, same timeless style, only a little more elegant, so not much could go wrong. Worldwide shipping is free and the package arrived after 4 days. The boots have 7,5 cm block heel and a nickel-free zip, and are made of certified ecological and water resistant microfiber in Portugal. I wear European size 39/40 and ordered 40 as I like to wear warm socks or extra insoles when it gets colder. They fit perfectly, are finely crafted and very comfortable. I took a longer walk right away and hardly noticed that I’m wearing new shoes. Click here to have a look at the Andrea Boots.